Keep your furball happy and occupied is essential for all cat owners. You don’t want a bored cat sitting around the house all day looking for problems to cause. As such, it’s a great idea to grab a couple of cat toys (here’s some) and a scratching post for your furry friend. This is especially true if your cat is alone for most of the day. 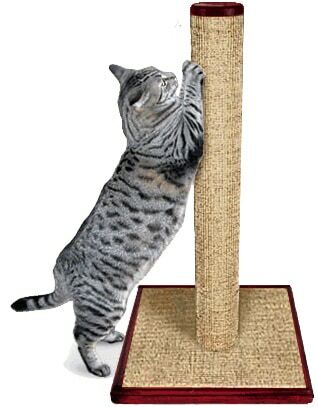 While toys can be fun, a scratching post offers hours of entertainment for your felines. Plus, these devices deter them from scratching other things in your home, like your expensive furniture. We won’t get too complex here. A scratch post is simply a piece of cat furniture that allows your furry friend a place to scratch the day away. These scratchers come in all different shapes and sizes. They can also double as chairs, beds, cat trees, and more. Scratching is Healthy: To put it simply, your cat needs to scratch. It’s what they do. Scratching keeps claws healthy, offers a workout for their muscles, and helps them stretch out. Many cats like to work off stress with a little scratching workout. Plus, the act just feels awesome to them. Save Your Furniture: Most cat owners buy a cat post for one reason – they want the cat to stop scratching the furniture in the home. You can save your furniture by just training a cat to claw at the post you bought him or her rather easily. And your furniture will thank you! Endless Entertainment: We already touched on this, but a lonely cat is a troublemaker. If your cat isn’t around people that often, then they may start acting up in the home. 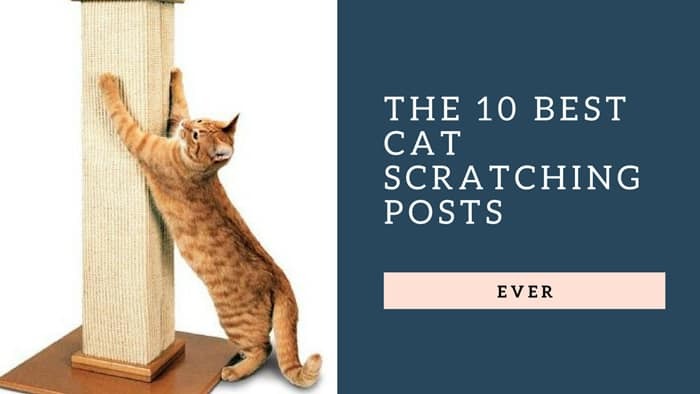 A scratcher post can offer your furry ones a chance to stay entertained while you’re not at home. 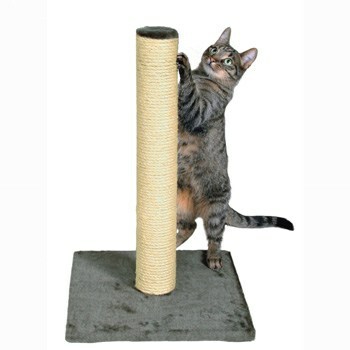 The highest rated cat scratching post online, the SmartCat Ultimate is popular for a number of reasons. Using thick sisal rope, this device is ideal for sharpening cats claws and keeping them entertained for ours. A plain design, your cat will immediately be drawn to this post. It's also sturdy and won't tip over when in use. Trust me – your cat will use this daily! 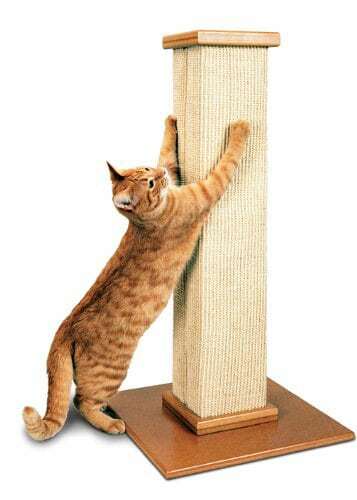 A unique post, the Pet Fusion 3-Sided Vertical Scratcher is the ideal model for multi-cat households. Featuring three full sides of scratching area, the device is exceptionally stable and ideal for rough cats who need a strong space to scratch. Many furballs enjoy playing with this unit like it's a toy, too. 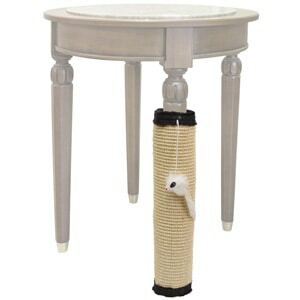 Designed by a veterinarian, the Purrfect Post a sturdy design with good looks. The model is relatively large and offers a ton of sisal rope covered space for your furry friend to claw at. Many cats love the ability to scratch both vertically and horizontally with this unit. 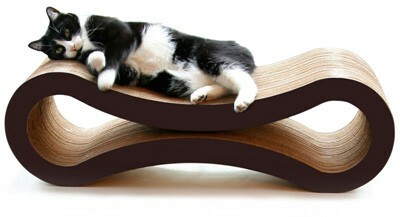 One of the best selling cat scratchers of all time, the Pet Fusion Lounge offers a lot. 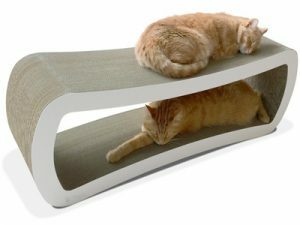 The model is designed to offer your cat an ideal place to claw away, and once they're tired, they can lounge away and sleep on top of the unit. Plus, it's reversible so that you can flip it over after a little wear and tear. 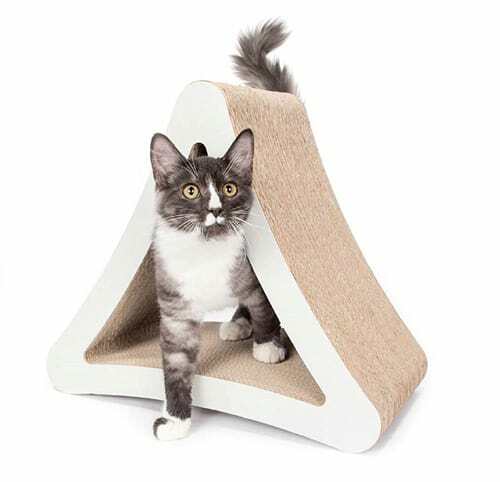 A giant dual-purpose scratching post, the Pet Fusion Jumbo is made for large cats and multi-cat households who love to scratch and need a lot of space. The modern, sleek design is stunning and will fit well with most decors. Reviewers rave about this model, especially the longevity. If you're looking for a solid post on a budget, then look no further. The Trixie Pet Products Parla may be just what the doctor ordered. Featuring natural sisal rope, you won't find any bells and whistles with this model. You will find a great place for your cats to claw away at! 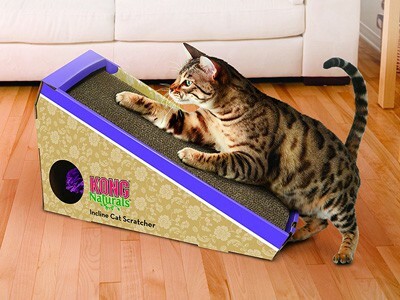 If you're looking for a cat scratching pad more than a post, the KONG Naturals Incline Scratcher Toy may be what you want. This Amazon top seller is incredibly well-reviewer and highly-rated. Users love the free catnip toy inside that attracts cats, along with the high-quality sisal rope. 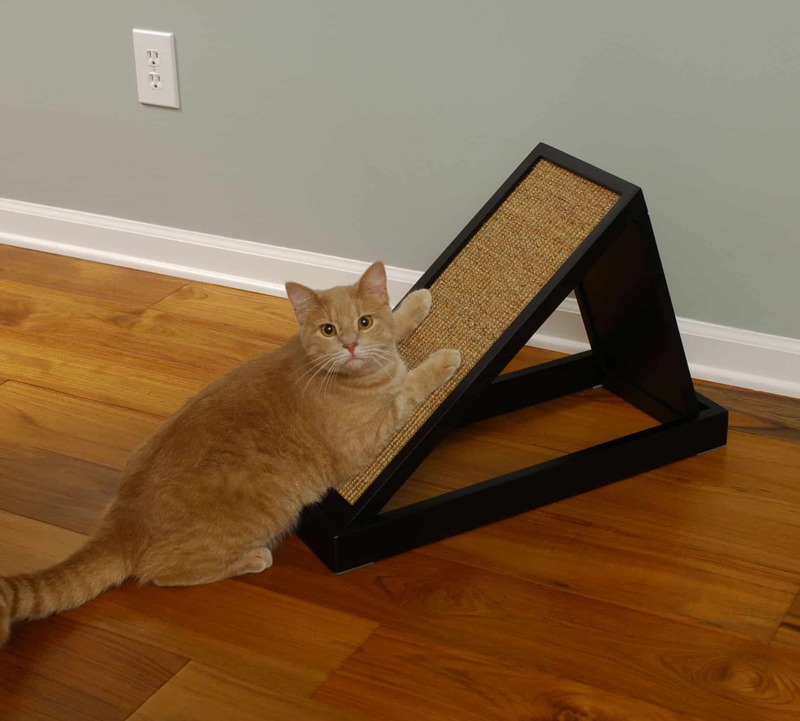 If you're looking for an add-on more than a whole new piece of furniture, then the Jumbl Cat Scratcher Pad may be right for you. The pad wraps around the leg of a table or chair and provides your car with great scratching opportunities. This versatile design is fairly cheap and will blend well into the décor of your home. 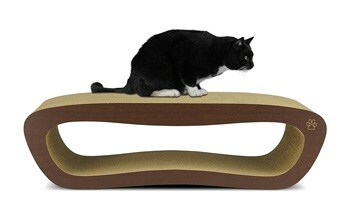 If you're looking for a modern, sleek cat scratcher post, then this model from Oliver & Iris might be perfect. The unit comes in four different colors to ensure you can find the perfect match for your home. These cardboard scratchers are completely recyclable, and your cats will love them. 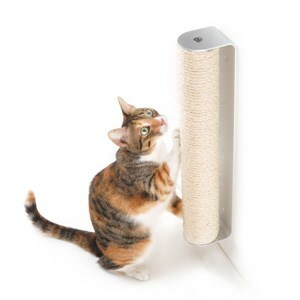 For a simple post that uses the wall for support, the 4Claws Wall Mount Scratch Post is ideal. This model blends in with your décor and offers easy scratching opportunities for your furry friends. If your cat prefers to attack the walls instead of the furniture, then this may be the perfect scratching apparatus for you. While there’s no perfect post for all cat owners, we hope you’ll find the perfect scratching apparatus for your furry friend. If you’re sick of the cats scratching your furniture, check out the ten designs above and find the one that suits your needs. Your cat will love it, and your furniture will thank you!